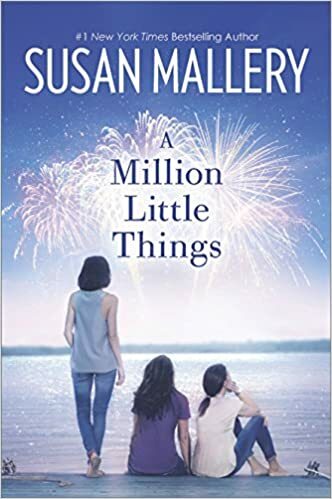 A Million Little Things by Susan Mallery came unexpectedly in the mail, but my mom decided to pick it up when she was here on vacation. She read this one in just a couple of days, and I could hear her giggling on the couch in the evenings. Zoe Saldivar is more than just single—she’s ALONE. She recently broke up with her longtime boyfriend, she works from home and her best friend Jen is so obsessed with her baby that she has practically abandoned their friendship. The day Zoe accidentally traps herself in her attic with her hungry-looking cat, she realizes that it’s up to her to stop living in isolation. Her seemingly empty life takes a sudden turn for the complicated—her first new friend is Jen’s widowed mom, Pam. The only guy to give her butterflies in a very long time is Jen’s brother. And meanwhile, Pam is being very deliberately seduced by Zoe’s own smooth-as-tequila father. Pam’s flustered, Jen’s annoyed and Zoe is beginning to think “alone” doesn’t sound so bad, after all. Kirk, a cop, is Jen’s husband, and they have an 18-month-old baby who refuses to talk to his own mother once he starts talking. Stephen, Jen’s brother, likes to play the field, and Pam decides to fix him up with Zoe, who has had an off-again on-again relationship with Chad, a married man. Add to the mix errors at a clinic where shots are given to women who want to avoid pregnancy. You can imagine what kind of mess occurs. Very dramatic, very serious, and a bit suspenseful as you didn’t know what was going to happen. 4 stars. Becky, her husband, Suze, and her mom are off to find Becky’s father and Suz’s husband, who have vanished. They track them down to Las Vegas, and the adventures they have are hilarious and ridiculous as they leave Los Angeles in search of them. Becky’s mother is at her wit’s end and believes her husband has another woman in his life, while Suze is determined to save her “brainwashed” husband from a gold-digging new-age coach. And it seems that Becky is the only practical and level-headed one in this bunch, at least until Becky feels her friendship with Suze is threatened by her long-time nemesis Alicia, who also happens to be along for this roadtrip. Becky’s stint at the new age retreat in California has really gotten her thinking about her spending habits, and she’s so blocked by her guilt over the roadtrip and the disappearance of her father, that she can’t even let her friend Suze buy her a pair of cowboy boots or even spend $2.50 on a pencil. Kinsella has finally matured Becky enough to ensure readers will stick with her through this roadtrip adventure into her father’s past, and the antics and machinations of these characters will have readers agog and laughing. 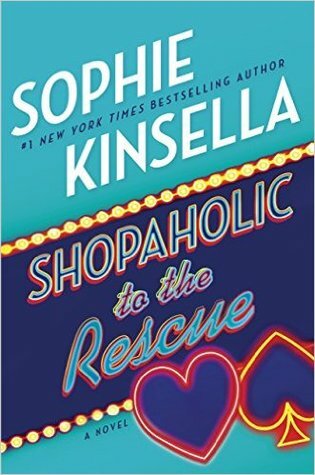 Shopaholic to the Rescue by Sophie Kinsella, narrated by Clare Corbett, is pure fun, and is just what the doctor ordered in the current political climate. Madeleine Wickham is a bestselling British author under her pseudonym, Sophie Kinsella. Educated at New College, Oxford, she worked as a financial journalist before turning to fiction. She is best known for writing a popular series of chick-lit novels. The Shopaholic novels series focuses on the misadventures of Becky Bloomwood, a financial journalist who cannot manage her own finances. The books follows her life from when her credit card debt first become overwhelming (“The Secret Dreamworld of a Shopaholic”) to the latest book on being married and having a child (“Shopaholic & Baby”). Throughout the entire series, her obsession with shopping and the complications that imparts on her life are central themes. Twenties Girl by Sophie Kinsella, narrated by Rosalyn Landor, is a wonderful breath of fresh air in which readers are introduced to Lara Lington and her great aunt Sadie Lancaster. Part ghost story and party mystery, at its heart this is a story about respect, family tradition, and history. Unlike Kinsella’s hilarious Shopaholic series, there is a great deal more heart and emotion in this one. Lara is struggling in her new line of work as a head hunter, after her business partner left her in a lurch, but once she’s accosted during a funeral by a ghost, she has little choice but to look beyond her own plans and go on an adventure she’ll never forget. Sadie and Lara make a fantastic team as they try to locate her great aunt’s favorite necklace, and in the meantime, Sadie’s whispers are making their way through many lives with some hilarious results. Lara has spent a lot of time hoping for the best and pining away for her ex-boyfriend, pretending that all is well. But when Sadie enters her life, she’s forced to really reassess where she’s been and what she’s been doing with her life. Sadie, who didn’t think she amounted to much in 105 years and lost the one true love of her life, spent a great many years having fun and barely committing to anything or anyone. They are opposites in many ways, but they teach each other how to truly live. 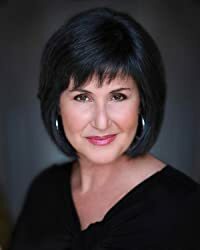 Rosalyn Landor is a terrific narrator who does excellent voices for male and female characters, as well as a stellar British accent. 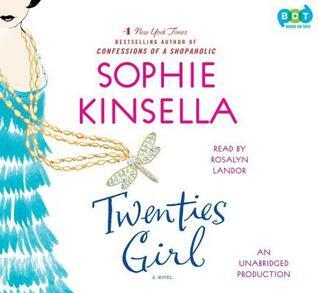 Twenties Girl by Sophie Kinsella, narrated by Rosalyn Landor, is utterly enjoyable from start to finish, and Kinsella’s characters will have readers itching to break out flapper dresses and dance the Charleston. Shopaholic to the Stars by Sophie Kinsella, narrated by Clare Corbett, is a fun romp with Becky Brandon (nee Bloomwood) in the Hollywood hills as her husband, Luke, takes a temporary marketing position with actress Sage Seymour. Becky is thrilled with the idea of being in Los Angeles, and she suddenly envisions a life of red carpet affairs, movie premiers, and becoming a stylist to the stars. Becky, Luke, and Minnie are swept up into all things Hollywood, but Luke, naturally, remains the most level-headed. Despite Becky’s over-shopping issues, which manifest in pre-purchases for stars she either has barely met or never even had any contact with, she’s managed to make some connections and be set on the path of her dreams. Things get a bit complicated when there is a very public mix-up that fuels and ongoing feud between Sage and her movie-star rival, Lois Kellerton. However, any potential character arc with Becky has ceased, at least so it seems in this book, and readers are likely to see her return to her old, selfish ways that often got her into too much trouble and places where her own rationalizations sound feeble even to her. Although she now realizes, at least some of the time, that her rationalizations for purchases and bad behavior are just that, she continues on a path that while amusing, is devastating to those around her, even without her meaning it to be. She even finds herself wrapped up so tightly in Hollywood’s machinations that she doesn’t think to herself that she should just walk away. Becky’s head used to be easily turned by the prettiest bobble or the latest fashion, but in this one, her head is turned by attention, as if her husband and daughter do not dote on her constantly. Her ego is larger than the series at this point, and while readers may want to see what happens after the end of this really open-ended book, they may not want to read more of the same character. 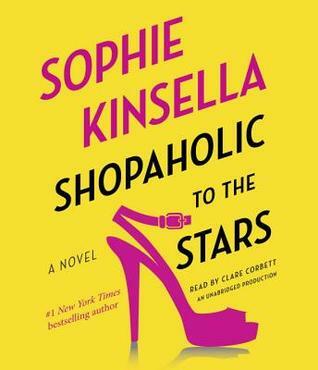 Shopaholic to the Stars by Sophie Kinsella, narrated by Clare Corbett, was fun to listen to and Kinsella is definitely a talent when it comes to writing quips, comebacks, and witty dialogue, but by the seventh book in the series, we want more depth from Becky Bloomwood. While an entertaining way to spend the afternoon, the series has become a bit stale. A Week at the Lake by Wendy Wax is less of a chicklit romance and more of a story about friendship that has been tested when Emma Michaels backs away from her college friends Serena Stockton and Mackenzie Hayes without explanation and again when they agree to meet again for a retreat at Lake George. Emma has been a single mother to Zoe for nearly 15 years, and her parents and siblings from Hollywood’s elite have been kept out of their lives for some time. Although Emma enjoys acting, she takes jobs on her own terms, and she’s tried her best to shelter her own daughter from that fast-paced life. Serena, on the other hand, may be a beautiful starlit that many men drool over, but her work is mainly as the voice of Georgia Goodbody in a cartoon. Mackenzie is the least famous of the three, who moved back to the Midwest with her husband to run a local theater and make costumes when her dreams of motherhood were quickly dashed. “‘We could put you in the bottom of a canoe and float you out into the lake like a Viking warrior,’ Mackenzie said. ‘As long as nobody tries to set me on fire,’ Emma said. The friendship between these women has been strained, but each of them is excited to head to the lake and reconnect. Serena continues to have a string of shallow affairs with married men, and Emma has focused her attentions on her daughter, Zoe, and her work. MacKenzie has had a relatively quiet and routine life, and her life is the most disrupted by the events that happen to these women. Readers will enjoy getting to know these women, the nuances of their friendships, and the struggles they have in their own lives. 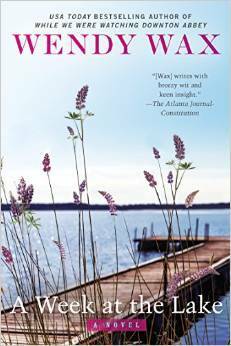 A Week at the Lake by Wendy Wax is a heavier book than most chicklit books, given that these women deal with some significant crises of confidence, emotional baggage, and real-life pain. Wax creates some strong and flawed female characters, and readers will love how these women interact with each other, how friendships can be tested and nearly break, and how they resolve their larger issues. This was another winner, and if you haven’t read Wax’s books, you better get started. Award-winning author Wendy Wax has written eight novels, including Ocean Beach, Ten Beach Road, Magnolia Wednesdays, the Romance Writers of America RITA Award finalist The Accidental Bestseller, Leave It to Cleavage, Single in Suburbia and 7 Days and 7 Nights, which was honored with the Virginia Romance Writers Holt Medallion Award. Her work has sold to publishers in ten countries and to the Rhapsody Book Club, and her novel, Hostile Makeover, was excerpted in Cosmopolitan magazine. A St. Pete Beach, Florida native, Wendy has lived in Atlanta for fifteen years. A voracious reader, her enjoyment of language and storytelling led her to study journalism at the University of Georgia. She also studied in Italy through Florida State University, is a graduate of the University of South Florida, and worked at WEDU-TV and WDAE-Radio in Tampa. 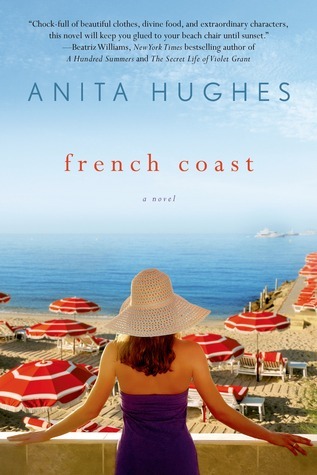 Will true love find a foothold in this small beach town before it’s too late and disaster strikes? Plot: The plot was exciting, though about halfway through it started to be predictable. However, that did not detract from my enjoyment of the novel. Some mystery, but mostly fast moving because of the movies that were being made on location. Characters: Greer Hennessy was ambitious when she set her mind to accomplishing tasks. Eben Thinadeaux, the mayor of the town who also owned a store, was a busy busy man, which makes romance a challenge. 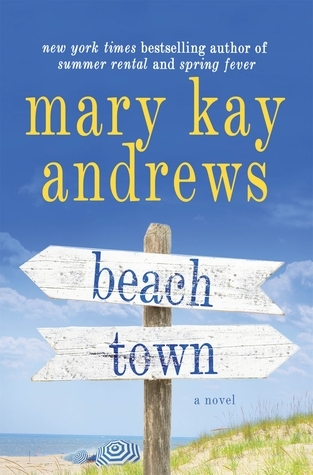 Setting: The Florida setting was well illustrated with Andrews’ prose. Recommended: Definitely recommended for is fast-moving plot; very quick read. To enter the U.S. only giveaway, you must be a resident with a valid mailing address and over age 18. Leave a comment below to be entered by May 20, 2015, 11:59 PM EST. Chicken Soup & Homicide by Janel Gradowski is the second in the Culinary Competition Mystery series, but readers can jump right into this series without worrying that they have missed something in previous books. Amy Ridley is paired with Sophie from Riverbend Coffee in the Chicken Soup Showdown charity competition against some of the more polished chefs in Kellerton, Michigan. Chet Britton has been a star chef in town and he has the ego to match, but his employees and many others in town find his demeanor abrasive. He’s left a lot of scorched earth behind him in his rise to fame, but Amy isn’t there for the competition with him. She’s in the competition to win money for her charity, as are many of the other competitors. When Chet Britton ends up dead, Amy is thrust into the thick of it as a suspect. Her best friend, Carla, is on the top of the list when a new detective takes over, and even dating a local cop Shepler doesn’t help. Gradowski has a great sense of comedic timing. Her one-liners will have readers laughing out loud. Amy Ridley is a spunky character who has no qualms about hiding behind laundry bins to overhear conversations and also tends to be very careful when waging into her own investigations of town murders. Should this cook be looking for killers among her friends, family, and fellow residents, probably not, but that doesn’t stop her. Even as she’s investigating crimes, she’s thinking up recipes and reaching out to troubled friends. She even finds the time to reach out to her vanishing husband. Chicken Soup & Homicide by Janel Gradowski is fun and mouth-watering. Readers will be looking to their kitchens longingly as the recipes are brewing and stewing, but never fear, there are recipes to try out in the back of the book. Janel Gradowski lives in a land that looks like a cold weather fashion accessory, the mitten­-shaped state of Michigan. She is a wife and mom to two kids and one Golden Retriever. Her journey to becoming an author is littered with odd jobs like renting apartments to college students and programming commercials for an AM radio station. Somewhere along the way she also became a beadwork designer and teacher. She enjoys cooking recipes found in her formidable cookbook and culinary fiction collection. Searching for unique treasures at art fairs, flea markets and thrift stores is also a favorite pastime. Coffee is an essential part of her life. She writes the Culinary Competition Mystery Series, along with The Bartonville Series (women’s fiction) and the 6:1 Series (flash fiction). She has also had many short stories published in both online and print publications. Check her Website, on Facebook, and on Twitter. Check out her books. Don’t Want to Miss a Thing by Jill Mansell is another delightful story of love and life changes, and Mansell’s characters are always flawed human beings in search of better lives. Dexter Yates takes the cake with his womanizing ways and charmed high-income life, but his sister has faith that he’s just lost and in need of a little guidance. Soon, Laura will get her wish when Delphi, Dex’s niece, is born and the two become inseparable. Molly Hayes, a cartoonist, lives in a Cotswolds village, and she’s happily teaching her classes at a local cafe and avoiding her latest ex-boyfriend, who just can’t seem to take no for an answer. The village was the setting for a hit show Next to You, and her friend Frankie has the perfect marriage and family. Dex decides to buy the Gin Cottage in Molly’s village after she nearly drops a stinky fish on him and his current flavor of the month. He has no one else to turn to when his sister suddenly dies and he has to make a major life decision in the blink of an eye, but the encouragement from a stranger seems to be all he needs. Mansell excels at characterization and there is now doubt about her ability to write believable female leads, but in this novel, her lead is male, and she does an equally great job. Dex is multifaceted and lacks the confidence he needs to fully commit to his decision, and Molly is strong and tries to keep her distance, even as she falls for Delphi. “Well anyway, good luck to them. Molly’s stomach tightened as she doodled a quick sketch of Amanda Carr with her geometrically perfect hair, pert nose, and crisp white shirt, always so calm and in control. They were probably close in age, but Amanda was the proper grown-up. She had a stethoscope. 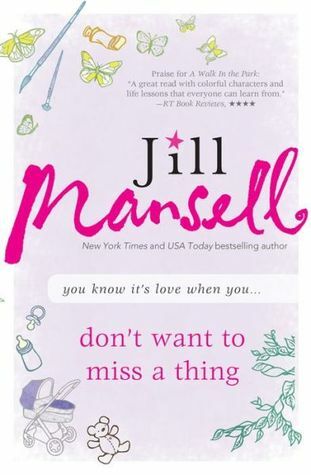 Don’t Want to Miss a Thing by Jill Mansell is heartwarming, fun, and full of missed cues and lost chances, but its also about second chances and glances and what it means to be a family. Mansell has hit another one out of the park, which is why she continues to be a favorite women’s fiction author of mine. You’re always going on a fantastic ride with her and her characters. Jill Mansell lives with her partner and children in Bristol, and writes full time. Actually that’s not true; she watches TV, eats fruit gums, admires the rugby players training in the sports field behind her house, and spends hours on the internet marvelling at how many other writers have blogs. Only when she’s completely run out of displacement activities does she write. Love, Accidentally by Sarah Pekkanen follows her short-e-story All Is Bright (my review), telling the other side of the story from Ilsa Brown‘s point of view, rather than that of Elise Andrews. Between these two short stories, the love triangle between these characters is real, but not as fleshed out as they would be in a full-length novel. Ilsa Brown is a veterinarian and she meets Grif by chance in a park where his foster-dog, Fabio, has been injured. They grow fond of each other, but Ilsa is cautious when her sister’s solid marriage loses its footing. It makes her wonder how much Grif regrets his past break-up with Elise. Pekkanen is adept at navigating the fragile balance of male-female relationships, especially when a break-up has recently occurred and one of the pair is still healing. Ilsa is a strong woman, but she also realizes that the past must be embraced in order for the future to be clear. Both new to Los Angeles, Grif and Ilsa hit it off over their love of animals and pizza, and their relationship moves at a fast pace. But Ilsa is never more aware of taking things one step at a time as when she talks with her sister, Corrine, about him or when her sister talks about her marriage. 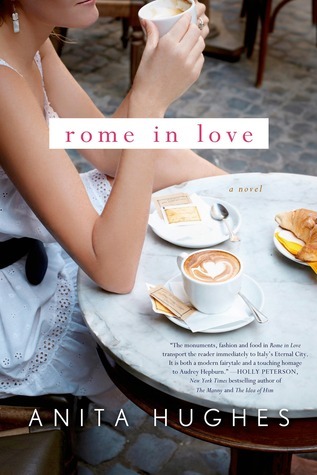 Pekkanen’s prose is simple and captivating in building up the romance in a short amount of time, but it’s her characters that will keep readers engaged because they are not two-dimensional. Love, Accidentally by Sarah Pekkanen is about how love can hit at the most unexpected times and how it needs to be nurtured and understood in order to flourish. Readers may want more from these characters, and perhaps the author will weave them into a full-length novel. Sarah is the mother of three boys, which explains why she wrote part of her novel at Chuck E. Cheese. Seriously. Sarah penned her first book, Miscellaneous Tales and Poems, at the age of 10. When publishers failed to jump upon this literary masterpiece (hey, all the poems rhymed!) Sarah followed up by sending them a sternly-worded letter on Raggedy Ann stationery. Sarah still has that letter, and carries it to New York every time she has meetings with her publisher, as a reminder that dreams do come true. At least some dreams – Brad Pitt has yet to show up on her doorstep wearing nothing but a toolbelt and asking if she needs anything fixed. So maybe it’s only G-rated dreams that come true. Please visit her Website. 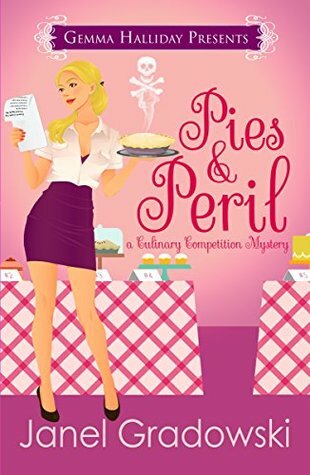 Pies & Peril: A Culinary Competition Mystery by Janel Gradowski is punchy and fun, a perfect read for kicking back on a rainy day or on the beach during the summer. While “beach read” is often a looked down on term, these are the kinds of books readers crave when they want pure entertainment and to enjoy characters and their stories. Gradowski’s characters are not like those in typical cozy mysteries; they have good heads on their shoulders, are professional, and are not throwing themselves in harm’s way without thinking things through first. Amy Ridley is no dumb blonde. She’s focused to win every culinary baking contest she enters, but when things go awry for her former friend and now baking nemesis, Mandy Jo, she takes it upon herself to solve the mystery of her death. Amy is spunky and determined to uncover the truth, but she’s also aware that there should be boundaries to her tenacious search for a killer. She’s lurking in corners to eavesdrop and running into clues, but she’s also wise enough to know that she should be careful and scared of the killer who is writing her threatening notes. Her friend Carla is a doll, and readers will enjoy their banter as they go over some of Amy’s theories about the murder and her even more outrageous theories behind the murder. Gradowski’s style is filled with humor and characterization; readers will get to know these characters in such a short period of time, it will feel like they are friends known for much longer. The author has a way of packing in a lot of background and characterization in a small space, making it easier to flow with the relationships and the story as it unfolds. Pies & Peril: A Culinary Competition Mystery by Janel Gradowski will have readers’ mouths watering, and it includes recipes at the end to keep those taste buds dreaming. 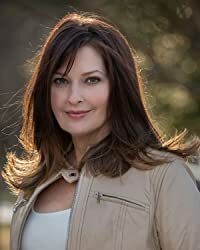 Cozy mysteries may drive some readers crazy for their dopey heroines that carry their infants into dangerous situations or just rush headlong into places they shouldn’t as they investigate mysteries, but Gradowski has found the perfect balance between the cozy mystery formula and strong heroines that leave the tough stuff up to the cops.